This time, the prestigious red box comes with a set of 8 different glasses for 8 different drinks. 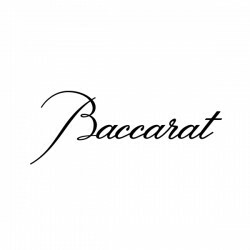 E..
Baccarat Coeur Amor	Heart Red..
Baccarat Crystal Darkside Harcourt Jeu de Dames en Noir Flutes, Set of 4 with 2 Perfect Clear Flutes..
Cognac has strict production standards and a tradition of excellence, not unlike Baccarat crystal. T..
Romanée-Conti, located within the Burgundy region produces some of the finest and most expensive red..
Dom Pérignon was a French monk who made vital contributions that improved both wine quality and wine..
Embossed lines irradiate along the foot of the candelabra, which rises into a stunningly exceptional..
Embossed lines irradiate along the foot of the candlestick. The exceptional frosted crystal stem is ..